평산신씨 31세손인 신치학(申致鶴)이 분가하면서 건립한 주거건축으로 18세기 후반 건립되었을 것으로 보인다. 당호인 사남은 치학의 손자인 우호(遇浩)의 호이다. 정면 5칸, 측면 4칸 규모의 구자형 뜰집이다. 평면은 중문칸을 중심으로 동측에 4칸 규모의 큰사랑이 독립적으로 자리하고 서측에 작은사랑이 위치한다. 따라서 가옥의 전면부분은 모두 사랑공간이 마련되었다. 동측의 큰사랑은 남북축으로 2칸 온돌방이 자리하고 동측2칸에 마루방을 두었다. 온돌방은 한 칸씩 구획되어있고 마루방은 통칸(通間)으로 사용한다. 서측의 작은사랑은 온돌방 1칸과 사랑마루방으로 구성되어있으나 현재는 정면 쪽으로 창만 설치되어있고 출입은 부엌 쪽과 온돌방에서만 가능하게 되어 평면의 변화가 있는 듯하다. 큰사랑과 연결되는 동익사와 정침부분은 함실 칸으로 연결되고 서익사는 부엌 한 칸과 안방으로 구성되어있다. 건립년대에 따른 가옥의 변화상을 보여주는 독립된 사랑채의 구성수법이 평산신씨판사공파종택, 서벽고택과는 차이점을 보이고 있으며, 전체구성수법에서는 유사성을 지니고 있다. 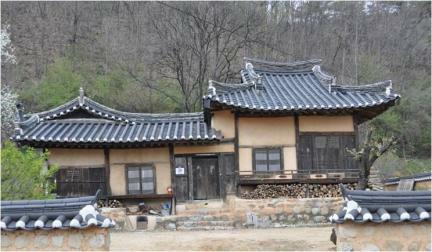 The three historic houses of the Pyeongsan Sin Clan, arranged with the head house at the center and the other two houses arranged in the west one by one, constitute an important source of knowledge about the tradition of using land for the homes of members of local aristocratic families after marriage. 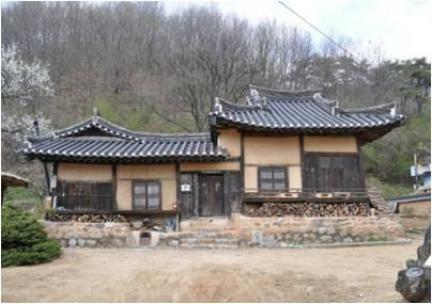 The ground plans of the three houses show a number of unique features that were based on local traditions and architectural structures and techniques developed to ensure harmony with the surrounding topography. 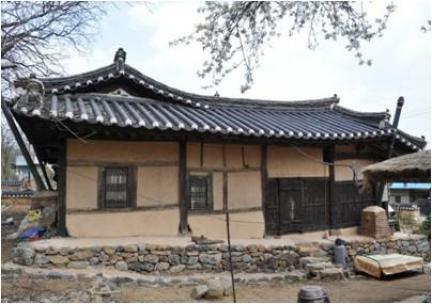 The houses are also connected with a number of valuable heritages, including the Portrait of Sin Jong-wi (pen-name: Mulchon, 1501-1583), Sanam munjip (Collected Works of Sin U-ho), and Siheonseo (Book on the Shixian Calendar), which contain useful information for the study of traditional household rites and ceremonies, as well as the lifestyle of the local literati elite of the Joseon period.